Good defense (and banged up LaMarcus Aldridge) got the team an important win. Game #75 saw the Silver and Black host the Oklahoma City Thunder. The game was a back and forth battle, as the three headed monster of Russell Westbrook, Carmelo Anthony, and Paul George gave the good guys a scare. Ultimately, San Antonio weathered the storm and snuck out a big team win on the back of some great team defense, and clutch shooting down the stretch. You think Dejounte Murray didn’t have this game circled on his calendar? Matching up with the reining MVP in Russell Westbrook, the 21 year old was fearless on the court Thursday night. his defense on Westbrook was a game changer, and his ability to push the tempo and crash the glass makes him a unusual factor to account for. Once that junp shot gets a little more polished, this kid is going to terrorize opposing backcourts. Patty Mills has been difficult to watch lately. To his credit, the fan favorite point guard has brought a ton of energy every time he has touched the floor, but he has been dreadful shooting the ball. All of San Antonio knows what #8 is capable of, particularly in the playoffs. That’s probably what has made his whole season so frustrating for the team and fans alike. However, if Mills has shown us anything in his 7 year tenure in the Alamo City, it’s that he can be relied upon in the months of April, May, and June. Let’s not give up on the Aussie just yet. LaMarcus Aldridge was the LaMarcus Aldridge we’ve come to know. Pouring in 25 points and 11 boards, this is the kind of performance that has become the norm for the 6 time all star this season. That turnaround jumper has been automatic down on the baseline, and his aggressiveness and ability to overpower defenders on the block has improved his production. I thought Kyle Anderson had a really good night despite the tough matchup against Carmelo Anthony and Paul George. Offensively, he did a great job of moving without the ball and taking advantage of some lazy defense by Anthony. On the other side of the ball I thought he did a nice job of making them work for everything they got. He makes up for his often-referenced lack of athleticism by positioning himself well and playing great team defense. I’ve been very critical of #1 in the past, but he is beginning to really come into his own. 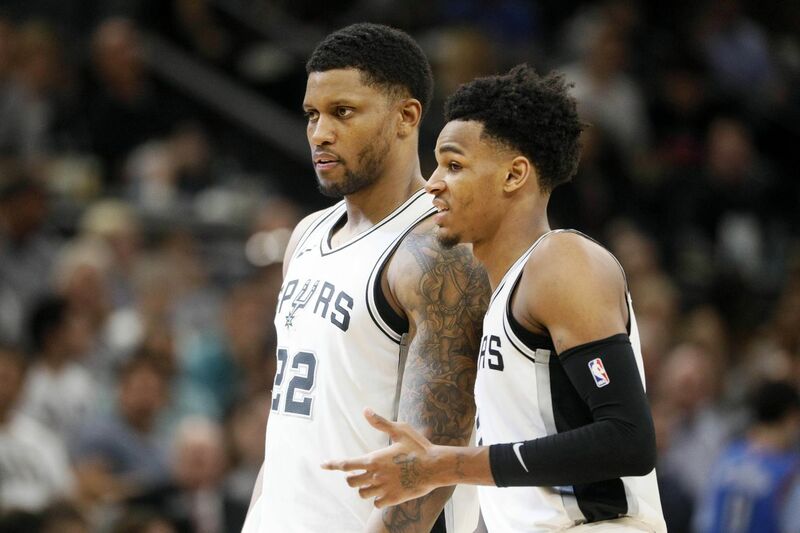 Rudy Gay had some solid minutes off the bench, but it just seems like the 31 year old still hasn’t regained his rhythm since his heel injury. Perhaps I am judging him off of the player he used to be rather than the player he is now, or maybe he is still adjusting to his new role, but I feel like #22 has not touched his ceiling yet. If this team is going to continue streaking into the playoffs, he’ll need to get his groove back. The trio of Danny Green, Tony Parker, and Manu Ginóbili all played well in spurts. When the Spurs can balance their attack and move the ball around on the perimeter it takes pressure off of Aldridge and makes the offense more versatile in their attack. If Mills’ struggles continue, the three veterans will have to produce down the stretch.